Science is a key learning area and is taught by our classroom teachers. The school has a Specialist Science laboratory next to the undercover area. Teachers take the opportunities to integrate the Science topics into other learning areas when they teach this learning area. 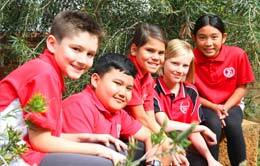 Spearwood Primary School has implemented ‘Primary Connections’ as the main teaching and learning program in years P-6. The Kindergarten use the “Planting the Seeds of Science” program. Science’s contribution to our culture and society, and its applications in our lives. The curriculum supports students to develop the scientific knowledge, understandings and skills to make informed decisions about local, national and global issues and to participate, if they so wish, in science-related careers. 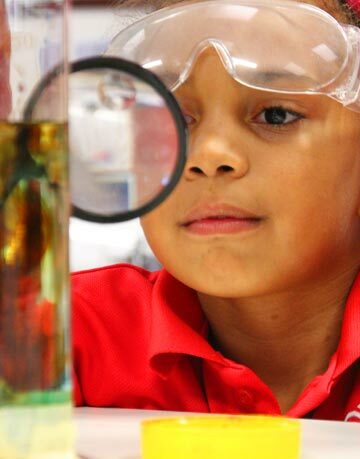 The science curriculum promotes six overarching ideas that highlight certain common approaches to a scientific view of the world and which can be applied to many of the areas of science understanding.